There are countless antivirus softwares available. Some softwares are effective, while some offer namesake protection. Some are just a farce. And there are plenty of free and paid antivirus solutions. Some are priced reasonably, while some are just too exorbitant to justify their cost. So how to identify the best free antivirus software? An antivirus software must have certain mandatory features that are absolutely necessary . Beyond that, some antivirus solutions provide features that make them outstanding. Basically, you must understand the types of files that an antivirus software must detect, analyze and block. There are known bad files, known good files and unknown files. Known Bad files: These are known malware that has been detected earlier. Antivirus companies would have analyzed a sample of the malicious code and developed a definition of the malware. This is typically added to a virus database. Since every day, hundreds or thousands of new variants of malware are discovered, major antivirus companies usually share their databases. When the antivirus encounters a file, it compares its hash value with hash values of known malware. If malware is detected then based on the settings, the malware is deleted or quarantined. The above features take care of known malware files. However, dangerous zero-day exploits are unknown malware that has not been discovered or identified as malware. Typical antivirus solutions detect and block all known malware. This can be considered to be a traditional mode of ensuring the protection of systems. Only Comodo Antivirus can thwart the dangers of "unknown files". Traditional antivirus solutions block known malware but trust all other files. Zero-day exploits are unknown malware utilized by hackers to run a campaign. Typically, they exploit a zero-day vulnerability to infect or damage a system. Antivirus solutions will not have a definition of the malware and hence the malware will have a free run. Comodo Antivirus utilizes a default-deny approach to automatically contain all unknown files in containment. This sandbox is a virtual space to run and analyze untrusted, unknown and possibly malicious applications. The malware believes that it has access to the actual system resources, but, in reality, it is a virtual make-believe environment to study the behavior of the unknown file. 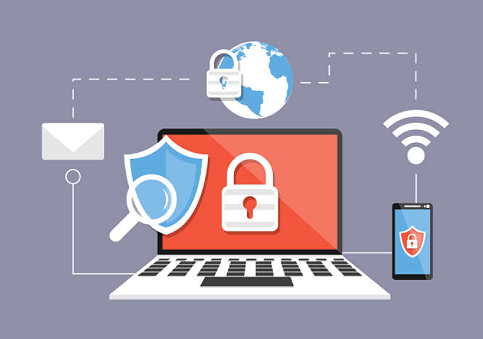 The Comodo Internet Security Suite combines the antivirus, firewall, and other security techniques to ensure that the systems stay protected over the network. Considering the dangers of unknown malware and zero-day exploits, only Comodo Internet Security Suite can protect your system.